Buying your first home can definitely be nerve-wracking. 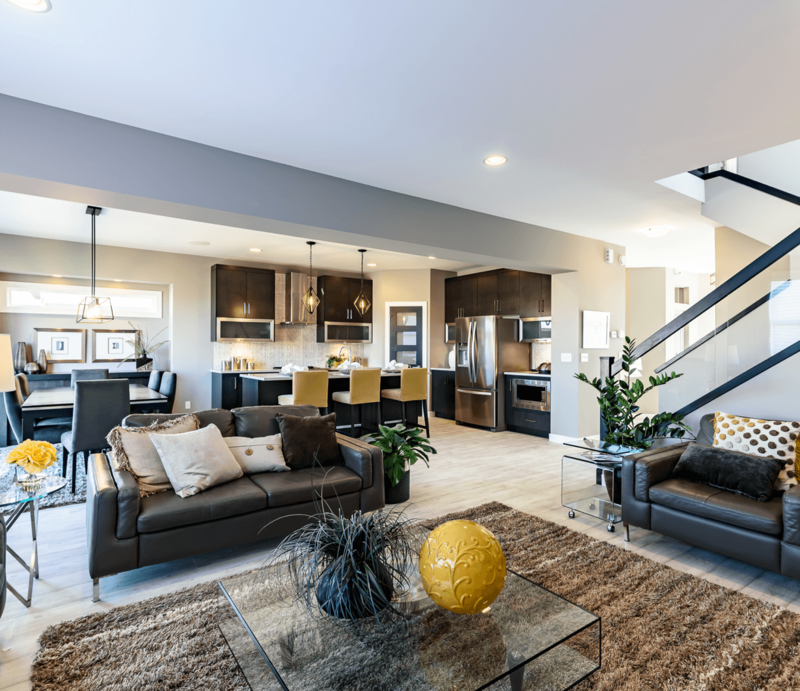 Many buyers have a slight idea of what they want in a home, but until you tour several home styles and dig a bit deeper, it’s hard to know exactly what you need in a home to be as comfortable as possible while staying within your budget. We’ve put together a list of some of the things that we think are most important. Of course, each one has to be personally tailored to meet your needs, but this list is a good place to start. Our homes come with a variety of different floor plans, and you might not realize how small changes can make big differences. For instance, if you have small children, you might want to focus on layouts that have large mudrooms because you’ll need that space when everyone is coming inside the home, especially during the winter months. A mudroom can keep the boots, jackets, hats, and gloves better organized. Those who enjoy entertaining, on the other hand, might be better off looking for a floor plan that features a large foyer and open-concept living area to make it easier to host parties. Think very carefully about what types of rooms your family needs, then look for a floor plan that matches those needs. Affordability is perhaps the most important thing to look for in a new home. Remember that your monthly mortgage payment will include things like property tax and homeowners insurance, and you don’t want to stretch yourself too thin. There are definitely ways to get the home you want at a price you can afford. If space is important to you, you can choose a large home that’s built with mostly standard materials. If you want upgrades like granite countertops or hardwood flooring, you can keep the price within budget by selecting a smaller home. A sales agent can help you make these decisions. Often, the right home is just as much about where it’s located as it is about the specific home itself. First-time buyers can sometimes forget to pay as much attention to the community as the home, but it's important to find a community that also meets your needs. Most people will naturally want to live in a community with a shopping centre or a lot of nearby stores because it makes life a lot more convenient when you need to grab the basics. However, these centres are also very popular and can increase traffic in the community that they're located in, so you'll need to decide if that's a worthwhile trade-off for you. If you'd rather live in a quieter area and don't mind a few minutes' extra driving to get the groceries, you should factor that into your decision-making process. Another factor to consider when buying a new home in a new community is that the area may still be being built, and might be for a while. On average, a smaller community can take 2-3 years to complete, but a larger one might take 7-8. This can be beneficial as well, as property prices tend to rise as more amenities and features are added, so if you're planning to stay in your home for a long time and want your home to really be an investment for the future, it might be worth dealing with a little extra construction. Another important factor in the location of your new home is how easy it will be to get to work. Whether you drive, cycle or take public transit to work, ease of access should be something you consider carefully. You'll be making that commute every day, so any amount of convenience you can save will really add up over time. When you’re spending money to have a home built, you want to be sure that it’s high quality. 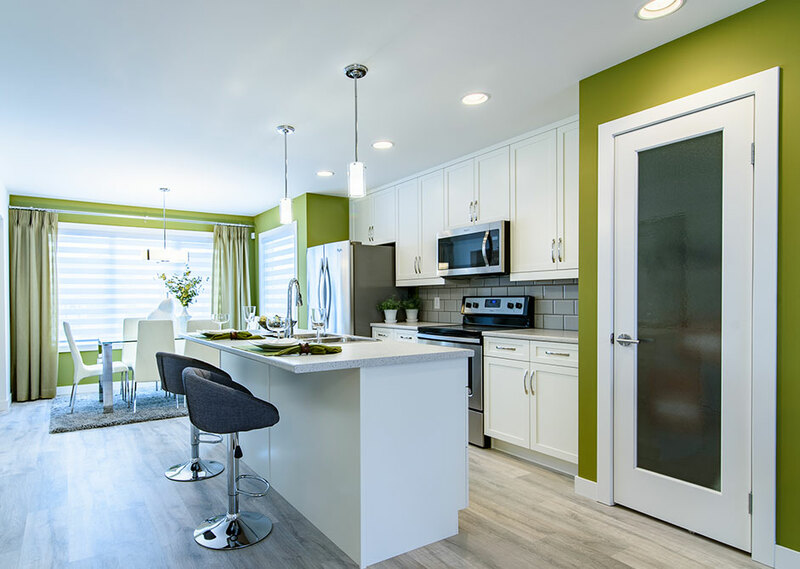 Touring showhomes is one of the best ways to get a sense of the quality that a builder offers, but you can always dig a bit deeper. Ask to see the variety or brands of materials used, then research those companies online. Talk to people who already own homes built by the company to see how happy they’ve been with their purchase. Don’t be afraid to take your time in researching builders. You'll be living in your new home for a long time, and you should be happy with what you have. Speaking of living in your home for a long time, you’ll want to spend some time thinking about how a given home can grow with your family. You might only have one child now, but what if you have two or three more? An extra bedroom or two might be a smart move. Do you have an aging family member who might need to move in eventually? Look for a home that has a basement suite. If you have young children now, think about where they’ll want to hang out with friends when they’re teenagers. Is there space for this? Do you want them to be hanging out at your home or would you prefer to keep the chaos to a minimum? While no one knows what the future may hold, you want a home that has the potential to change with you as your family grows. Finishing the basement when you build the home could be a smart move. Buying your first home is an important decision, and it’s smart to take your time when making a selection. By carefully thinking about your needs now and in the future, you’ll be able to get the home that’s right for you. One of the best ways to get a better sense of what you like is to tour various show homes. 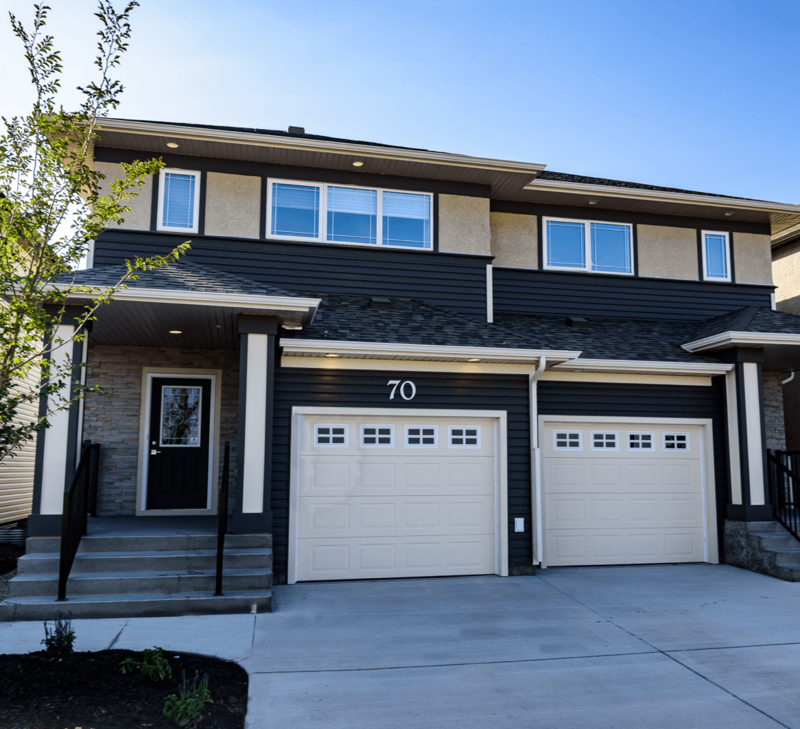 Broadview offers homes in many styles at affordable prices. Come check out what we have to offer today.